Once you’ve tasted fresh chestnuts, you’ll agree they have no equal. Chestnuts stand apart from any other nut, yet they are part of the same family of tree nuts as almonds and walnuts. From their natural sweetness to their soft, potato-like texture, these treasures of the autumn season enhance all dishes with unmatched flavor richness. What makes them so extra special is their limited availability. Chestnuts grown in the U.S. are available only from October through January, though some growers sell out earlier. Asian markets that import fresh chestnuts from China and other Asian regions have them available throughout the spring. 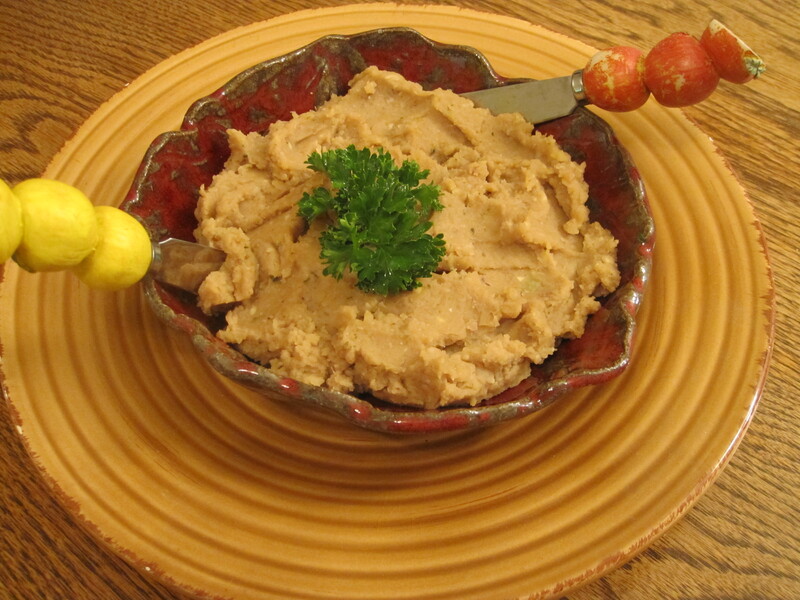 A 15-ounce jar of cooked, peeled chestnuts contains about 2 1/2 cups. 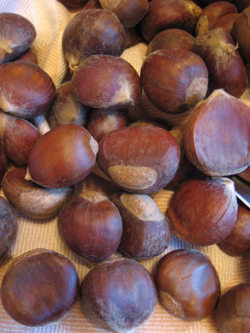 One pound of fresh chestnuts in the shell will make about 2 1/2 cups peeled cooked chestnuts. SEE ONLINE CHESTNUT RESOURCES BELOW. 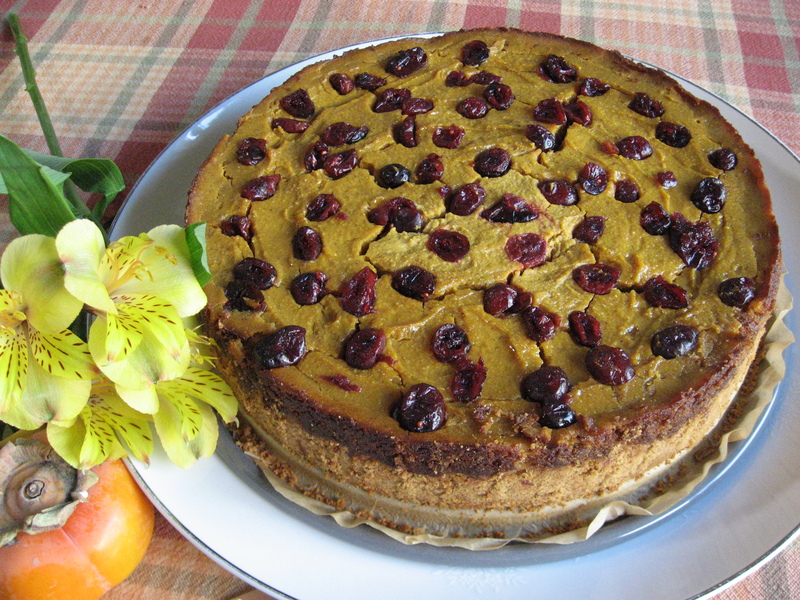 Following are some delectable chestnut recipes for the festive holidays ahead. 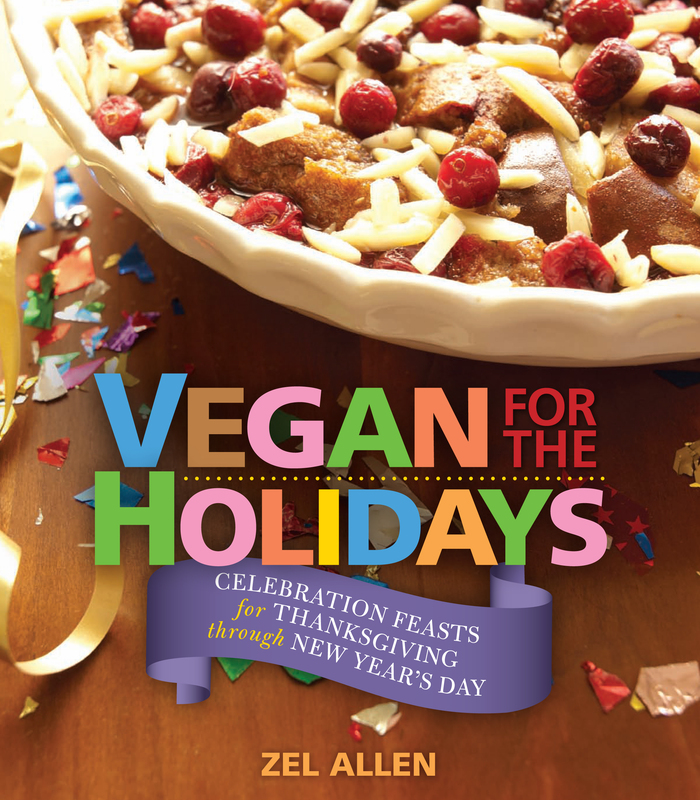 The recipes are from my new cookbook Vegan for the Holidays. The last recipe. 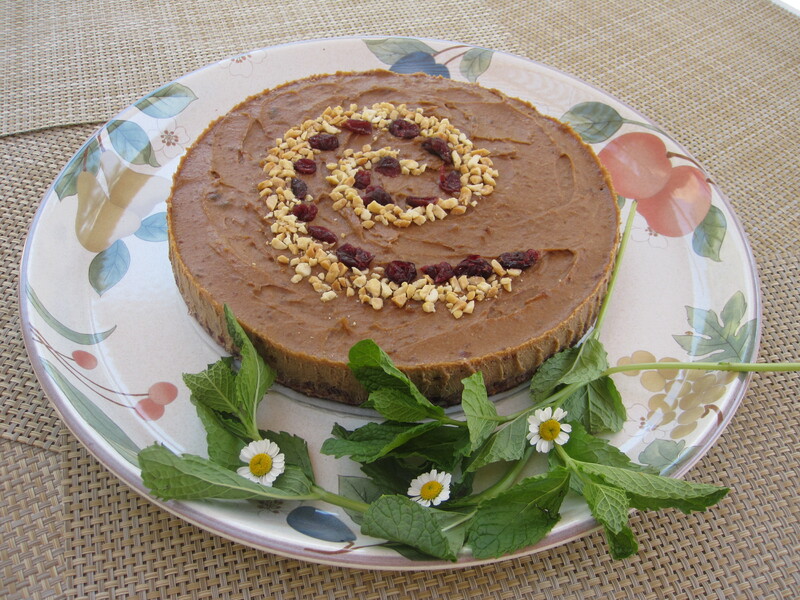 Fresh Chestnut Soup, is from my first cookbook, The Nut Gourmet. With the addition of a bit of kitchen sorcery and a whirl in the food processor, naturally sweet and starchy chestnuts become transformed into an irresistible creamy spread that stands out on any variety of bread, bagel, or cracker. Consider this buttery spread as a tasty accompaniment to any savory dish, and use as you would a relish or a spread on your favorite bread or rolls. 1. Cook and stir the onion, garlic, thyme, and 1/4 cup of the water in a medium skillet over medium-high heat for 3 to 4 minutes, or until the onion has softened. Add 1 or more tablespoons of water as needed to prevent burning. 2. Transfer the mixture to a food processor. Add the chestnuts, salt, and the remaining 1/4 cup of water. Process for 1 or 2 minutes, or until smooth and creamy, stopping occasionally to scrape down the work bowl. Transfer to a serving bowl. Garnish with the parsley if desired. Brussels sprouts and chestnuts may seem like the ultimate cliché of trendy holiday foods, but not so this tasty version that turns Brussels sprouts haters into devoted converts. The plan-ahead host may want to blanch the Brussels sprouts the day before for convenience. 1. Combine the Brussels sprouts, onions, tomatoes, bell peppers, and olive oil in a large, deep skillet. Cook and stir for 4 to 5 minutes over high heat, or until the onions are very soft and the tomatoes begin to break down. Add 1 or more tablespoons of water as needed to prevent burning. 2. Add the chestnuts, garlic powder, onion powder, and olives. Season with salt and pepper. Cook another 1 to 2 minutes to heat through. Spoon into a serving bowl or platter and garnish with the green onion if desired. 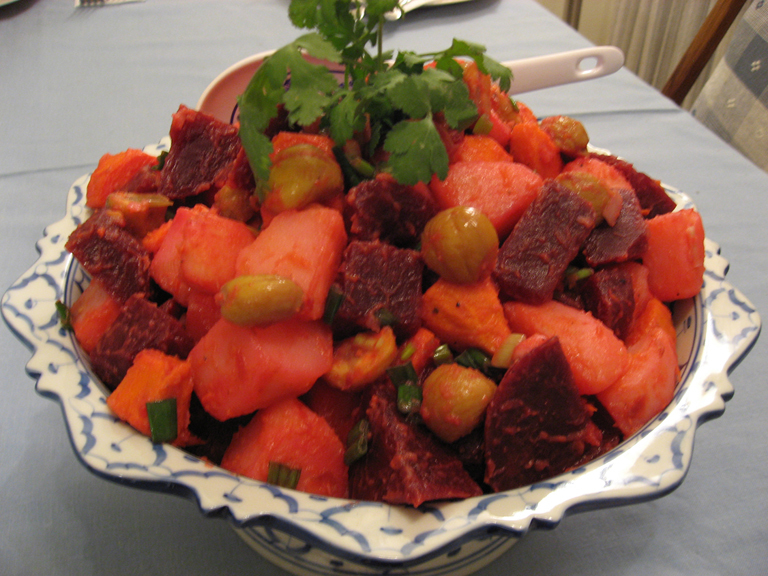 What makes this salad a delightful departure from standard potato salad is the medley of sweet yams, sweet chestnuts, and sweet beets laced with a tart touch of lemon juice and vinegar. For convenience, purchase the jarred or vacuum-packed cooked, peeled chestnuts. If you’re not a fan of chestnuts, you can eliminate them or substitute with one cup of lightly steamed sliced carrots and still enjoy this delicious salad. 1. Put the potatoes, yams, and beets in separate saucepans and add enough water to cover them. Cover and bring to a boil over high heat. Decrease the heat to medium-high and cook until the potatoes and beets are just tender when pierced with a fork. The potatoes will cook in about 5 to 7 minutes. The beets will take about 25 to 35 minutes. 2. 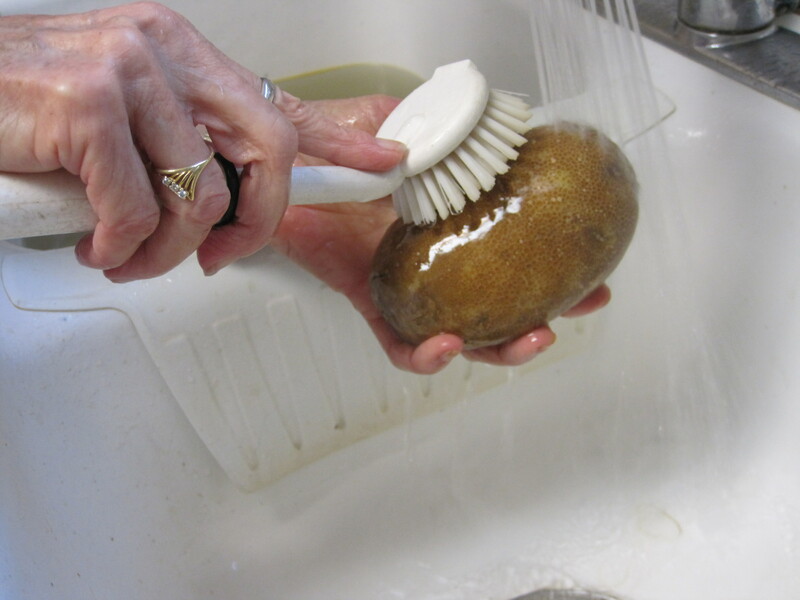 Use a slotted spoon to transfer the potatoes to a large bowl. Line a plate with three layers of paper towels and transfer the beets to the plate. Use extra paper towels to pat the beets dry. 3. Add the beets, chestnuts, green onions, oil, vinegar, lemon juice, salt, and pepper to the potatoes and toss well. Transfer the salad to an attractive serving dish and garnish with a few sprigs of herbs, if desired. Chestnuts are the definitive sweet infusion that makes this earthy pilaf so special, while exotic spices help transform it into a vibrant side dish. 1. Combine 3 cups of the water, wild rice, and 1 teaspoon of the salt in a 4-quart saucepan. Cover and bring to a boil over high heat. Decrease the heat to medium and simmer for 45 to 55 minutes, or until the rice is tender and most of the water is absorbed. 2. Meanwhile, combine the onion, tomatoes, the remaining 1/4 cup water, curry powder to taste, the remaining 1/4 teaspoon salt, cinnamon, and garam masala in a large, deep skillet. Cook and stir over high heat for 5 to 8 minutes, or until the onion and tomatoes are softened. Add 1 or more tablespoons of water as needed to prevent burning. 3. Drain any excess liquid from the rice and add the rice and chestnuts to the tomato mixture. Mix well to distribute the ingredients evenly. 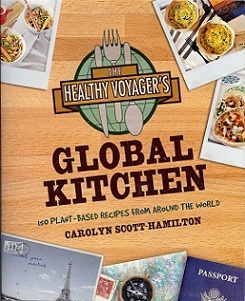 Spoon the pilaf into a serving bowl and garnish with the green onion and parsley if desired. This sumptuous stuffing, replete with chestnuts, is so fruity and ravishing, it makes a delicious meal by itself. 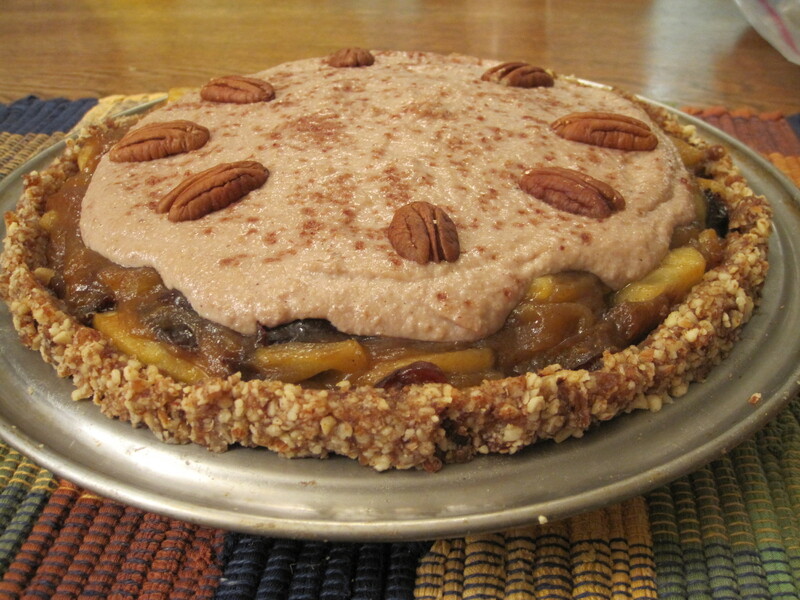 Enjoy it as a side dish or use it to stuff acorn, butternut, or delicata squash. 2. Combine the water, barley, and 3/4 teaspoon of the salt in a 2-quart saucepan. Cover and bring to a boil over high heat. Decrease the heat to low and simmer for 50 to 60 minutes, or until the barley is tender and all the water is absorbed. 3. Meanwhile, place the bread cubes on a 17 1/2 x 12 1/2-inch rimmed baking sheet. Bake for 10 to 12 minutes, or until dry. Transfer the bread cubes to an extra-large bowl. 4. Add the vegetable broth to the bread cubes and mix vigorously with a wooden spoon until the bread cubes are broken down into a coarse meal. Set aside. 5. Combine the onion and celery in a large, deep skillet and add 2 or 3 tablespoons of water. Cook and stir for 10 to 12 minutes, or until the onions are very soft and translucent. Add 1 or more tablespoons of water as needed to cook the vegetables and prevent burning. Transfer the onion mixture to the bowl with the bread cubes. 6. Add the apples, chestnuts, raisins, cranberries, apricots, cinnamon, nutmeg, pepper, and the remaining 3/4 teaspoon salt and mix well. 7. Thin the miso with about 3 tablespoons of water, add it to the stuffing mixture and combine well to distribute it evenly. Adjust the seasonings. 8. Spoon the stuffing into a 13 x 9-inch baking pan, cover with aluminum foil and bake for 35 minutes. 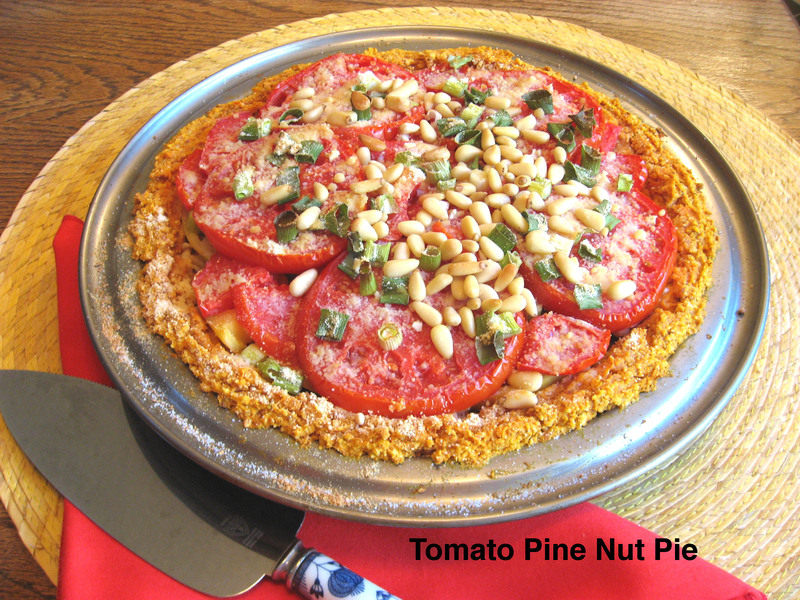 Remove the foil and bake another 15 to 20 minutes, or until a light crust forms on the top. 9. To serve, garnish one corner of the pan with parsley and artfully nestle the tangerine wedges and cranberries into the parsley if desired. While this unique, tantalizing soup is cooking, it sends waves of beckoning aromas so irresistible it just may become a holiday tradition at your house. For the best flavor, prepare the soup a day ahead, giving it plenty of time for the seasonings to fully develop. To reheat the soup, warm it gently over medium heat and stir frequently to avoid burning. 1. Combine 1 1/2 cups of the water with the carrots, onion, celery, and chile in a large deep skillet. Cook and stir over high heat for about 5 minutes, or until soft. Set aside. 2. Combine the soymilk, nutritional yeast, salt, nutmeg, and tarragon in a large stockpot and bring to a simmer over medium high heat. 3. Combine 1/4 cup of the water with the cornstarch in a small cup or bowl and stir to make a thin paste. Add to the simmering soymilk and stir for 1 minute until it is well dissolved and the soup is slightly thickened. Remove from the heat. 4. Combine three-quarters of the cooked vegetable mixture, three-quarters of the prepared chestnuts, and the remaining 1 1/2 cups water in the food processor and process until smooth. Add to the soup along with the remaining cooked vegetables. 5. Chop the remaining chestnuts and add them to the soup. Heat gently to warm through and blend the flavors. Garnish each bowl with a sprinkling of the chives and serve. A simple homemade potato soup is a long-time family favorite in my home. But sometimes I just want to step outside the box and explore creative ways to serve the same delicious favorite with a bit of a tweak to give it a fresh lift. With the addition of a few root vegetables and spoonful or two of some lively seasonings, the sleepy little potato wakes up fully refreshed and ready to impress everyone who pokes a curious finger into the soup pot. And if the Queen wants to step into the kitchen for a taste, I will welcome her with a curtsy and hand her my one and only silver spoon. Of course, I know that’s not likely to happen, but it was a fun thought to imagine what I might do if a royal figure dropped in while I was cooking up something so tasty it would evoke an enthusiastic response. More likely is that it’s just a great idea to have a flavorful pot of soup on hand during the busy holiday season that’s just ahead. We’re often so busy we don’t have time to spend preparing fussy meals. That’s when a nourishing, flavor-infused, homemade soup is so welcome and so satisfying. 1. 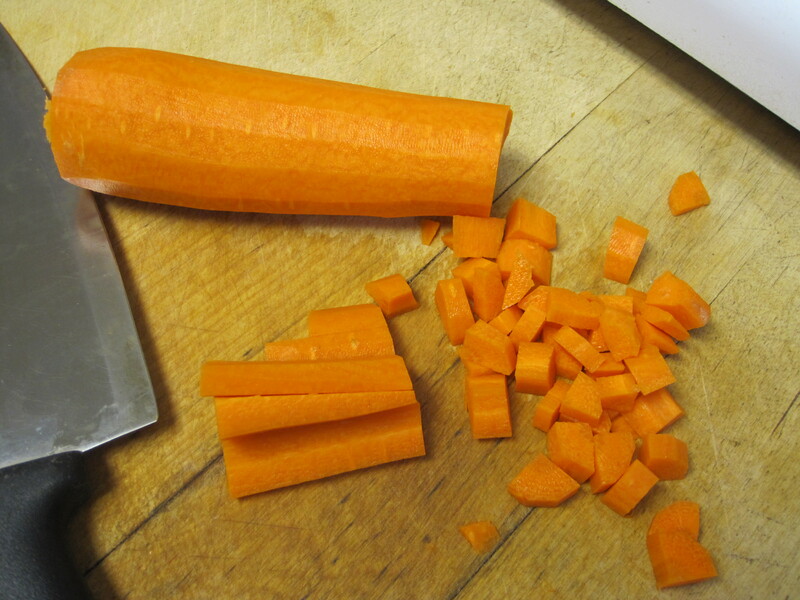 Combine the carrots, onions, parsnip, turnip, garlic, and 2 cups of the water in an 8 to 10-quart stockpot. Cook and stir over high heat, stirring frequently, for about 15 to 20 minutes, or until the vegetables are softened. Add increments of 1/4 to 1/2 cups water as needed to cook the vegetables and prevent burning. 2. Add the potatoes and the remaining 5 cups of water, cover the pot, and bring to a boil over high heat. 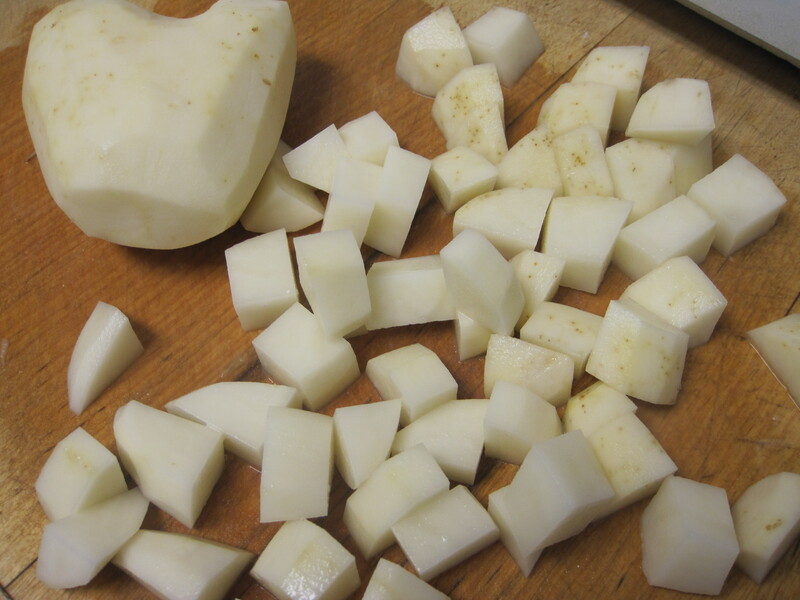 Decrease the heat to medium and simmer about 8 to 10 minutes, or until the potatoes are very tender. 3. 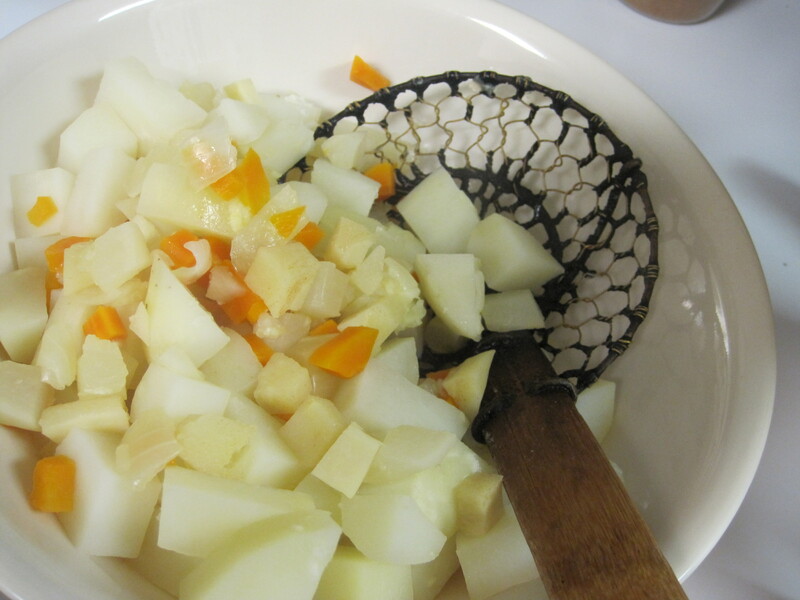 Using a slotted spoon, transfer 1 to 2 cups of the potatoes and vegetables to a small bowl. Using an immersion blender in the stockpot or a regular blender, process the soup until it becomes a smooth, creamy puree. Then, return the chunky vegetables to the soup pot. 4. Add the miso, nutritional yeast, lemon juice, salt, garlic powder, pepper, and cayenne and mix well. Adjust the seasonings, if needed. 5. 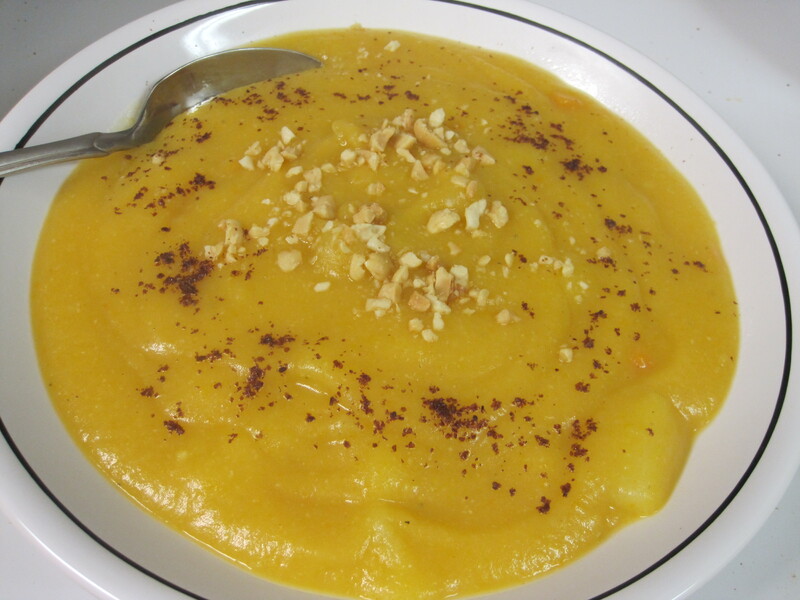 Ladle the soup into bowls and garnish each bowl with a sprinkle of chopped peanuts and ground sumac.